Right now, you can head over to the Purell website and grab a nice Purell Healthy Soap coupon! Print your coupon to save $1 off a 12 oz bottle of Purell Healthy Soap. This new soap is included in a sale through 6/3 at Walgreens! 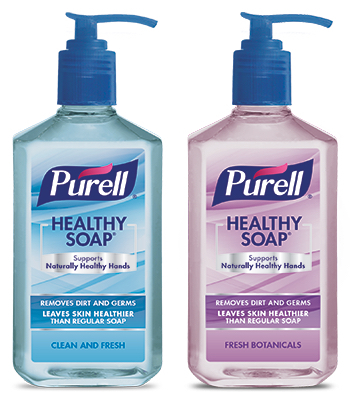 Buy one Purell Healthy Soap and get one FREE. Even better, there are two cash back offers you can use in addition to the sale and coupon. That makes for some cheap soap! You’ll pay only 2¢ each after all offers. If you aren’t an Ibotta user yet, now is a great time to sign up! When you redeem your first cash back offer, you’ll earn a $10 bonus in your account. Sign up for Ibotta now!